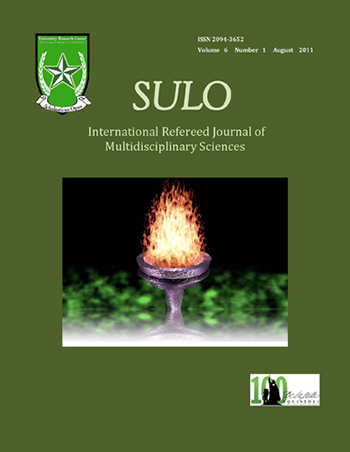 “SULO”, the official publication of the University Research Center, is an international refereed journal that encompasses the creative and scholarly works of educators, mentors, professors, and researchers from the different areas of specialization. It serves as the ultimate residuum, which emanates from the individual’s burning passion of deciphering the quest for knowledge. “Sulo”, which is a Filipino translation of torch, is the pathway of illumination to abscond the world of oblivion and bewilderment.